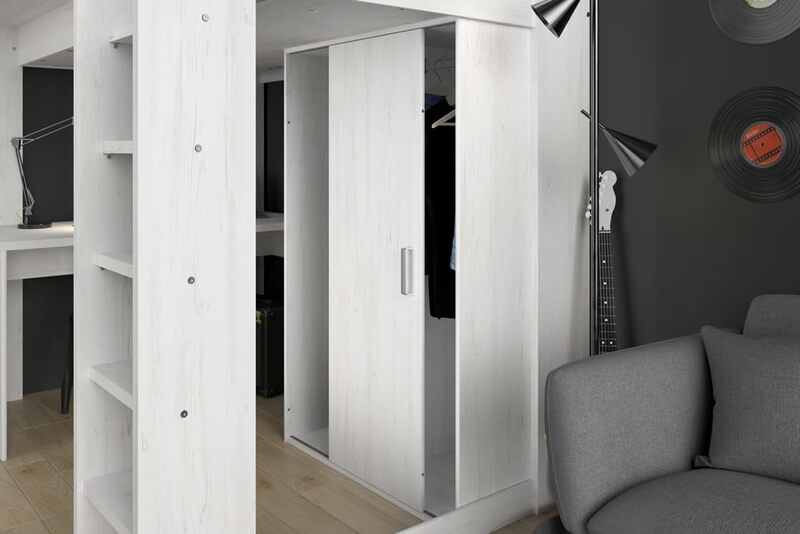 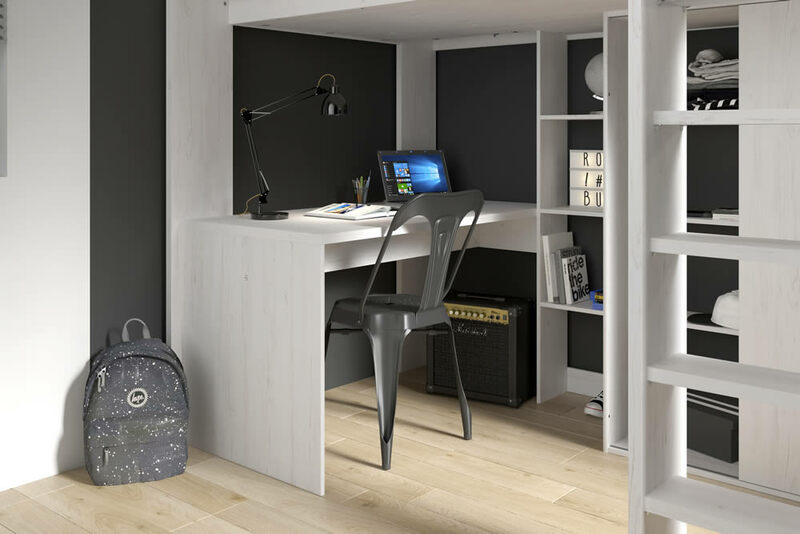 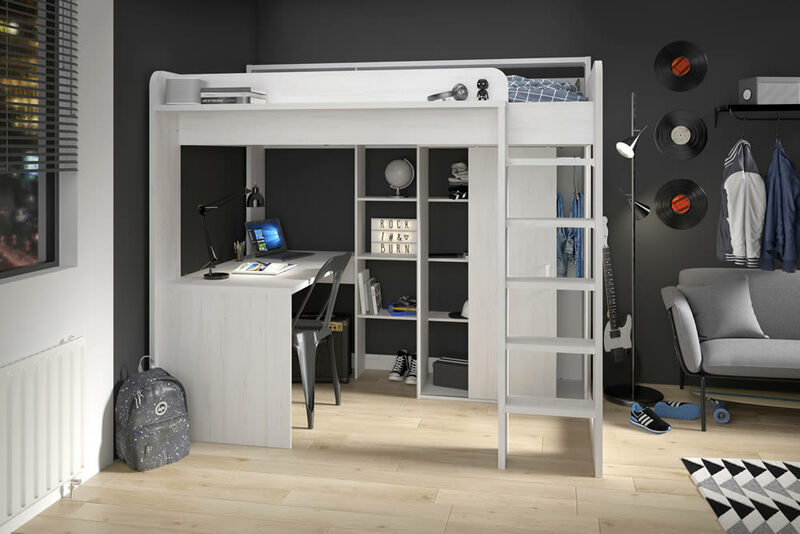 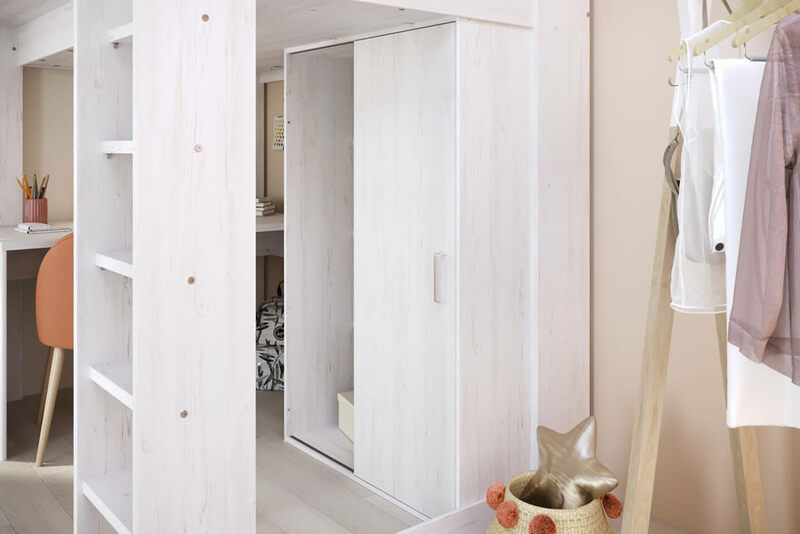 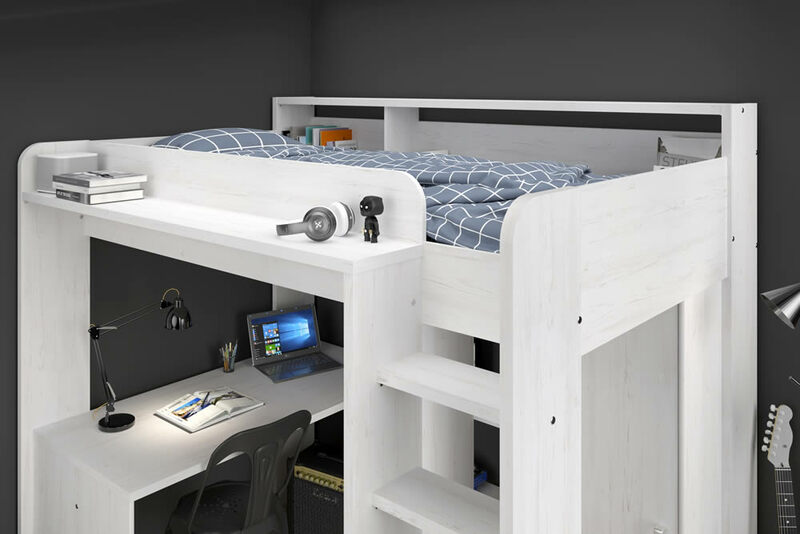 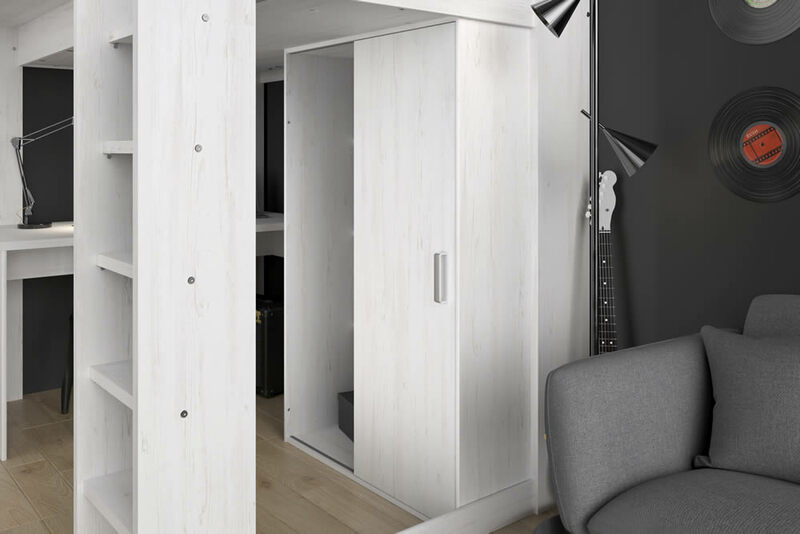 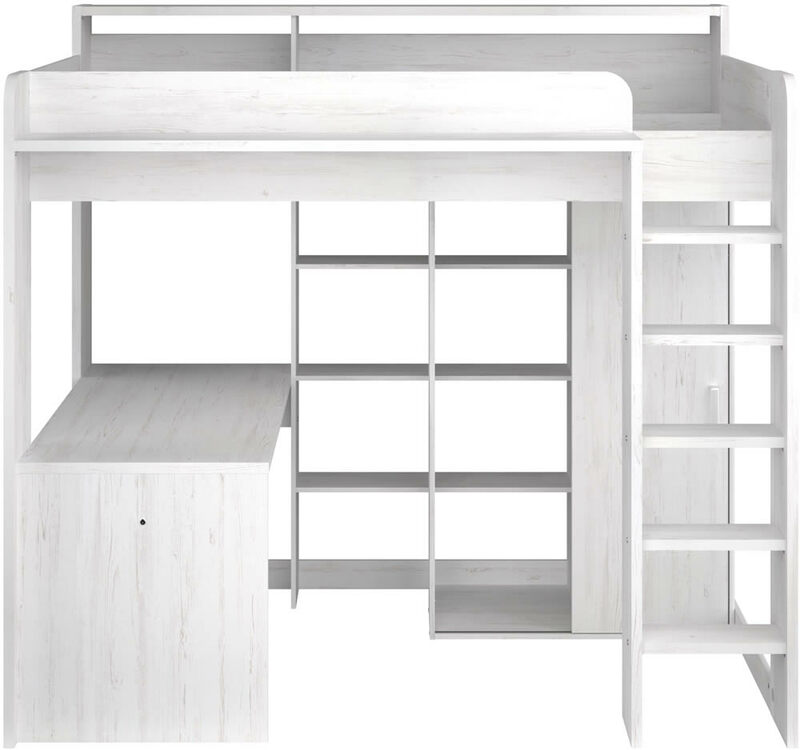 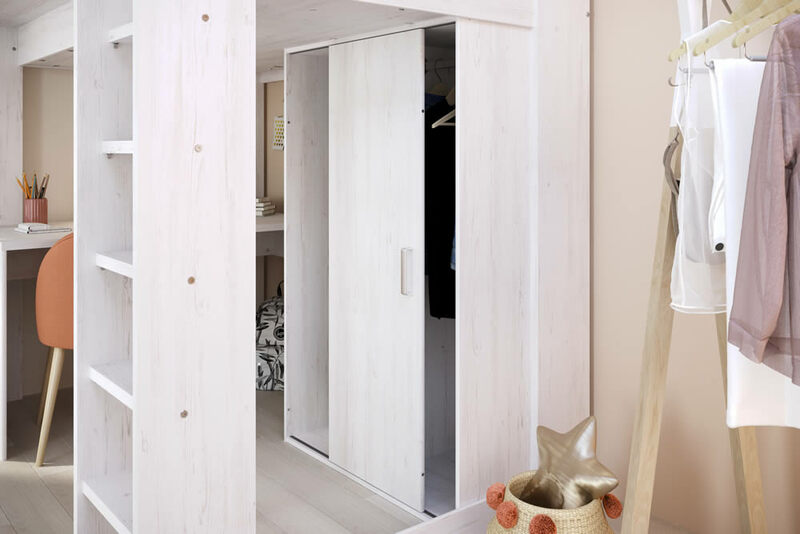 The Parisot Higher storage high sleeper bed in a Nordic Ash effect finish features lots of built in storage shelving, a single sliding door wardrobe and a large desk. 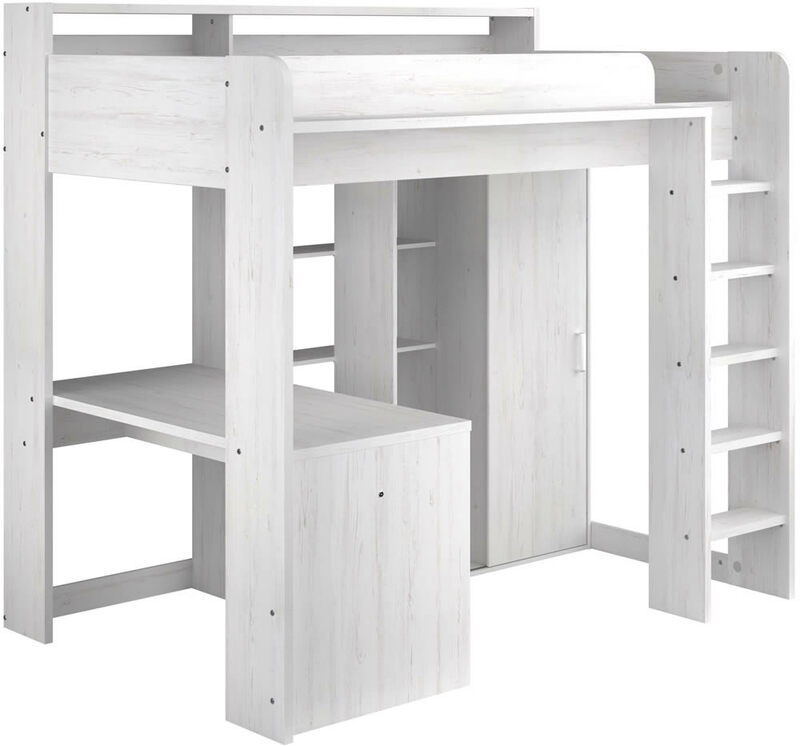 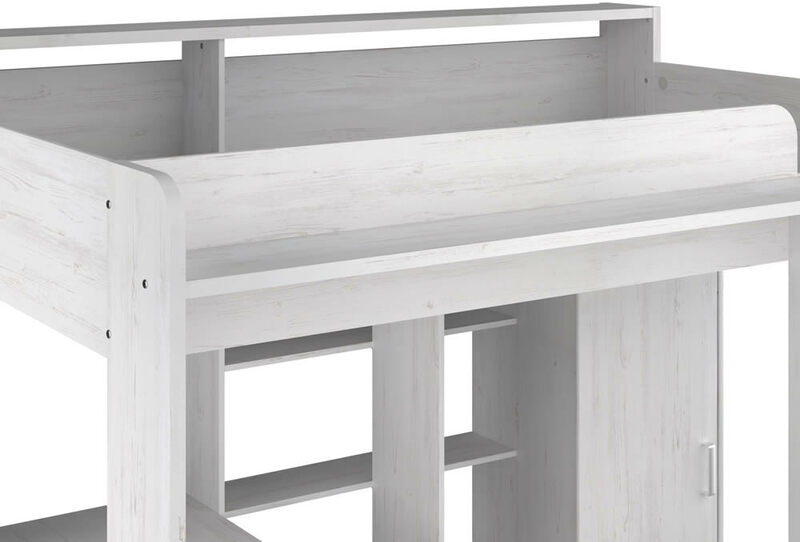 The sturdy frame offers 15mm to fantastically chunky 28mm thick panels with a deep 5 step ladder to the sleeping area. 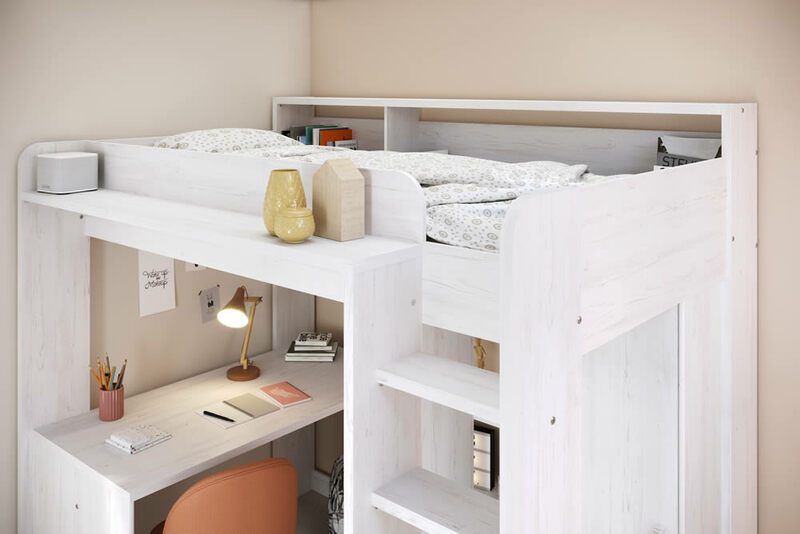 For bedside storage the Higher high sleeper bed offers two storage sections with a full length shelf above at the back of the bed frame and a long shelf positioned to the front outer of the bed frame. 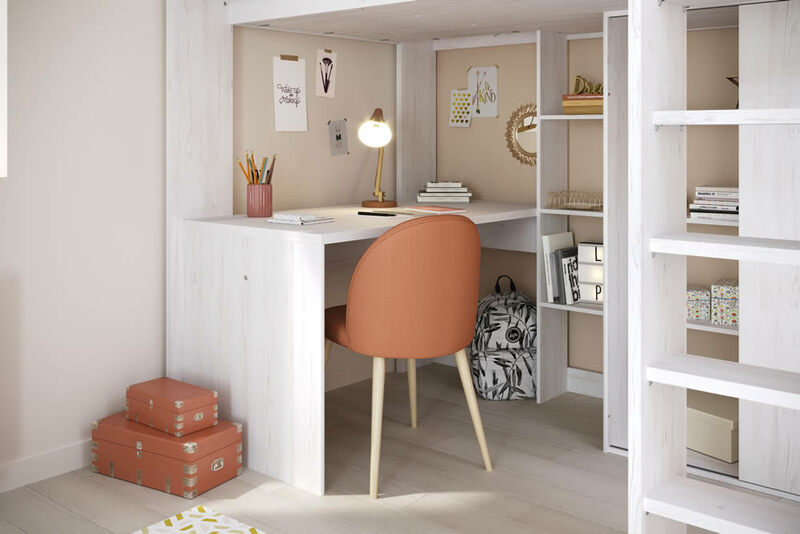 Under the high raised bed you will find a single door sliding wardrobe with a metal cloths hanging rail, a large segmented shelving section and a chunky topped large desk. 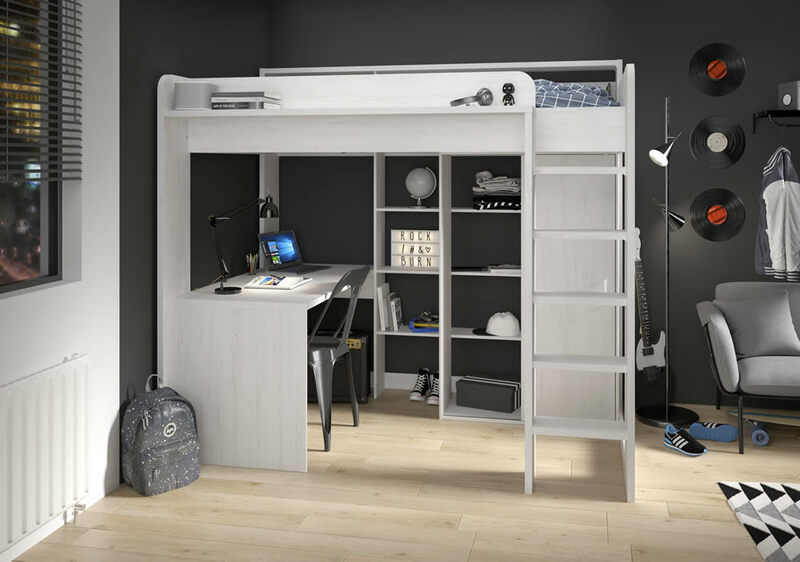 The Higher high sleeper is suitable for use with a 90cm wide by 200cm long single mattress and not exceed 16cm in height for safety.